Why Use Party Executives As Shield To Go Unopposed In Elections? Have voters and inhabitants of Sefwiman asked why some sitting Members of parliament are scheming to use party executives especially constituency executives to protect them so that they can go unopposed in the coming NDC Parliamentary elections? This behavior of some sitting MPs draws my attention to the proverb " when dry bones are mentioned in a proverb, old women begin to shiver"-Chinua Achebe. This is what is happening to some NDC sitting MPs in Sefwiman. As NDC activist from one of the constituencies in Sehwiman, I want party supporters from the area to ask their MPs why they are shivering and are doing all they can to get the party executives to come out with a resolution that will prevent people from contesting them? If such MPs know that they did well or are representing the interest of the people they serve, then why these tactics? There is a famous saying among the Sehwis that “if you know you are winning a 200-meter race, you do not look behind to see who is closing up on you or will overtake you". It is evident that some sitting MPs, especially NDC Parliamentarians in the constituency are afraid that if people come out to contest them, they will lose, so they are using the party executives to help them go unopposed. Voters in Sehwiman, especially, those from Juaboso constituency must bear in mind that who they will be tomorrow begins with what they do today. My Boys Brigade instructor, WO I Badu Moses from Sefwi Sayerano and formerly of 4th Medical Reception Center, Kumasi once told me that “your future prosperity lies upon your present behavior.” This saying confirms the popular belief that what the people of Sehwiman and for that matter, citizens of Juaboso Constituency can get from the new region is contingent upon who they vote for in parliamentary elections to represent them. In fact, the creation of the Western North Region is a significant relief to many people, including citizens of Juaboso Constituency (my beloved constituency) but they must not lose sight of the fact that if they continue to make the mistake of voting for leaders who will always be heard on FM Stations or seen on TV but not in parliament, then their expectation or hope of getting their fair share of the national cake will continue to be a mirage. Just as you cannot put a sharpened cutlass or machete at a portion of the forest and expect it to clear the forest by itself, the same way they must not wait to get their fair share of the national cake without vibrant leaders who can speak for or represent them at where the cake is shared. The point I am driving at is that for the wailing of the people of Juaboso Constituency (my beloved constituency) to be heard or for them to get what rightfully belongs to them, voters in the constituency will need to vote for a leader who has their interest at heart but not a leader who will abandon parliamentary proceedings for Adom FM Morning program just like what happened when our NDC was in power. In that instance, a Deputy Minister who was also a parliamentarian from one of the Sehwiman constituencies that share boundaries with either Bia East and Wiawso Constituency was scheduled to ask an advertised question in parliament which stood in his name. This Deputy Minister was to ask the Minister for Roads and Highways when a particular road in his constituency would be constructed. When his name was called, another parliamentarian asked the speaker to permit him to ask the question on his behalf because he (the Sehwiman MP) was participating in a Morning Show on Adom FM (Refer to Daily Guide Article” Speaker lashes Minister” dated July 2, 2015). My question to the people of his constituency is, are they ready to vote for this MP to lead them again? I know this MP will come out to convince them that he either bought an Ambulance or Sewing machines for some people in the constituency. Besides that, he has been made a high-ranking member in parliament, so he is performing excellently, but just look at the future of a constituency that has given birth to three other constituencies and those constituencies are progressing better than the mother constituency. The constituents must also know that the money used in procuring the ambulance and sewing machines are from the MP's Common Fund and not from the politician's own pocket. To the people of Juaboso Constituency, I want you to know that I share in your pains and cannot stand it when you are treated like this because you are as dear to me as the red drops that visit my sad heart. And to the constituency executive members in Sehwiman, are these the type of leaders you want? To the higher authorities in NDC, why do you entertain such MPs when they come to you to protect them so that they can go unopposed. I find it puzzling such MPs come to seek protection from you. Do you ask them why they are seeking your protection or using you to breathe down the throat of aspiring candidates or their competitors to step down for them to go unopposed or unchallenged? Now to such power- conscious MPs, why don’t you let your excellent works speak for you or use your good works to cement your position? My short advice to such power-conscious MPs is that they should ponder over the saying “if you have no confidence in yourself, you are twice defeated in a race.” Since such leaders know that they have lost confidence in themselves, they should honorably bow out in the pending parliamentary election and allow new limbs to take over because they have already lost their seats. 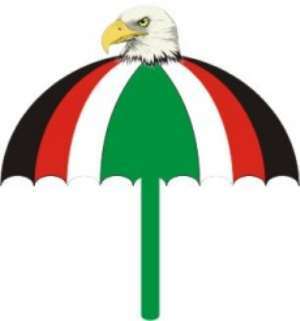 Who Qualifies As NDC Parliamentary Candidate?